Understanding the maintenance requirements of your metal panels is essential to maximizing the longevity of your investment with the least amount of hassle. While metal panels have been engineered to provide decades of trouble-free protection, they can suffer damage from the build-up of debris as well as storm-related traumas like hail stones, falling branches and ice dams. To extend the lifespan and strength of metal panels, maintenance consists mostly of preventing and correcting these issues. Regular inspections are critical to identifying damaged panels and accumulated debris that can trap moisture, causing corrosion over time. To prevent this, a visual inspection should be performed in the spring and the fall of each year, as well as after major weather events to identify issues. Take a walk around the structure and look for leaves, branches and other debris piled up on the roof, including in valleys, gutters and downspouts, as well as behind chimneys and/or other protrusions. While you can perform this type of inspection yourself, please keep in mind that metal panels—particularly metal roofs—should be professionally inspected every four to five years depending on your geographic location. If you live in a coastal or humid area more prone to corrosion and rust, professional inspections should be done more frequently to prevent the rust from spreading and causing structural damage to the panels. In addition to debris, keep an eye out for scratched or dented areas, as well as for loose screws and seams that look like they are separating. (If you can’t make out the details from the ground, try using a pair of binoculars.). Use the manufacturer’s recommended touch-up paint to correct scratches as they can quickly degrade the surface protection and jeopardize the longevity of metal panels. If the panels have separating seams or holes, first check to see if the repair is partly or fully covered by your warranty. 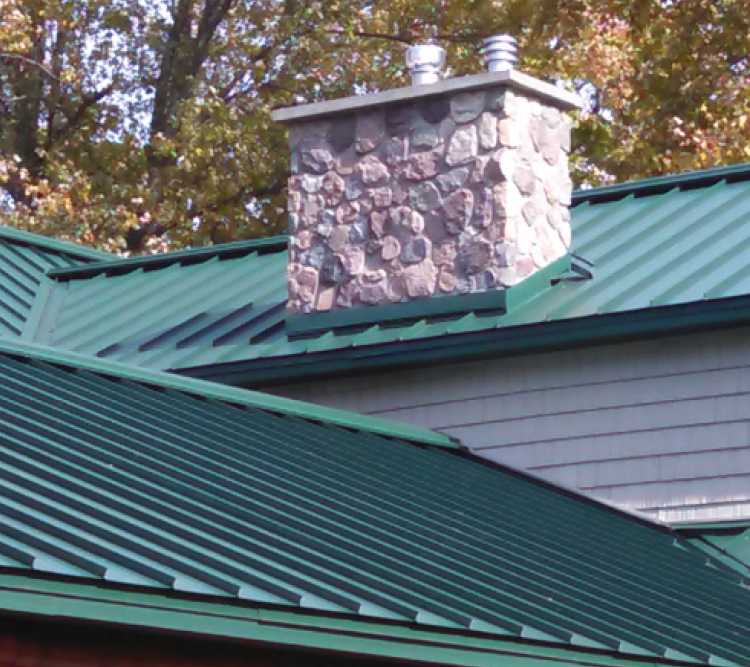 Unless you are experienced in metal roof repair and possess a thorough knowledge of the products and techniques that can be used without voiding the warranty, it is recommended that you engage a metal panel repair specialist to make the repairs. If you decide to undertake the work yourself, it is also important to remember that these fixes are, at best, temporary and should be addressed by a professional recommended by the metal panel manufacturer. Keeping metal panels clean is one of the best ways to ensure they last as long as possible. 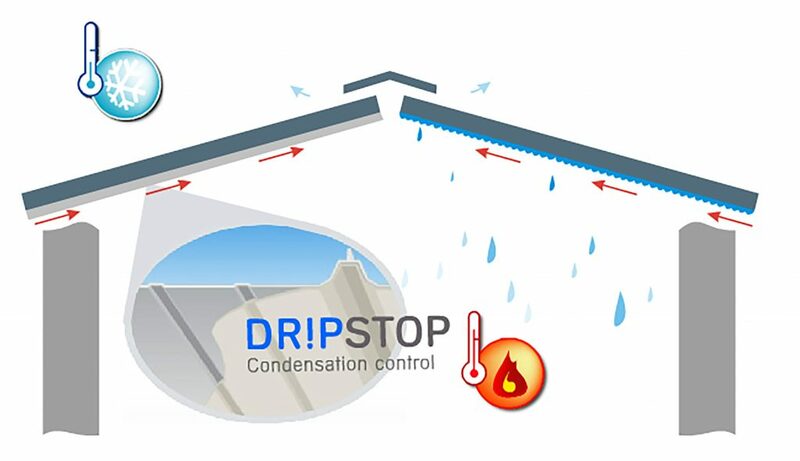 When cleaning metal roofs and walls, using a non-pressure cleaning method with detergents recommended by the metal panel manufacturer is ideal. It is not advisable to use metal tools such as rakes to remove debris. This is likely to scratch the paint, reducing the panels protection from the elements and other damaging factors. Using a leaf blower to remove debris is a common choice, but a long-handled push-broom or a telescoping pole with a window cleaning brush will also do the job. Ideally, the tool should be one that lets you do the removal from the ground, but if you absolutely must walk on the roof then only step on the flat areas. If there are areas you can’t access yourself—particularly slanted areas that have been made slippery with cleaning solutions—hiring a professional service to do this once or twice a year is the safest option. To reduce the chance of further damage and keep your panels cleaner over longer periods of time, trim tree branches as far back from the building as possible. This is especially important for large, unhealthy branches that could break off during high winds and cause damage. There are—of course—considerations that must be made for metal buildings located in colder climates. After a winter storm, it’s a good idea to remove standing snow from the roof. This is doubly important on older homes where poor attic insulation can lead to ice dams. An ice dam forms when heat escaping from inside the attic warms the roof and melts the bottom layer of snow. The snowmelt then re-freezes, creating a dam that traps water which can work its way into seams between panels and around flashings. It’s always smart to reference the metal panel manufacturer’s warranty to be sure you don’t use any products or tools that will void your warranty. They should also provide instructions and advice specific to the panels and application(s) you’ve selected to ensure you get the most out of their products with the least hassle. For more information on metal panels, check out ABC’s FAQ page. For more on our metal panels and accessories, please visit our product pages or contact your local representative today.